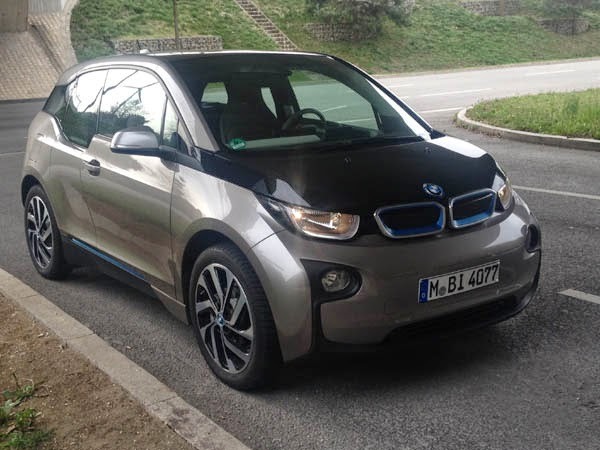 During a recent visit to BWM world headquarters in Munich, EV News had the opportunity to test drive a BMW i3. First impressions were all about the height of the seating position. This became more noticable in traffic where the i3 seemed taller than many SUV cross-overs. 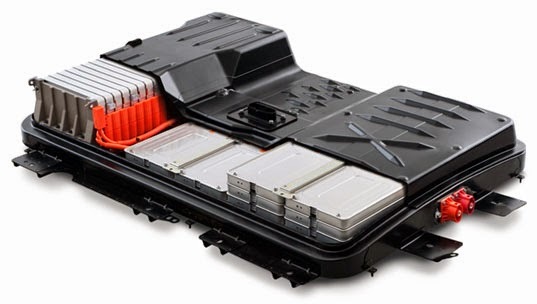 Unlike the battery in a Nissan Leaf where the cells are configured at various heights to allow space for footwells, the i3 battery is a uniform height and extends the full length of the cabin which results in a raised floor level. 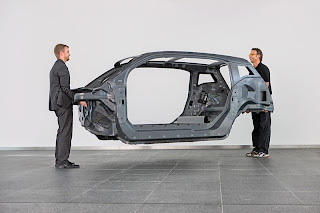 However, whereas in a cross-over the seating & vehicle height would usually result in a high centre of gravity and poor handling, the combination of carbon fibre reinforced plastic (CFRP) cabin structure and below-floor mounted battery mass means the i3 doesn't suffer a huge amount of body roll although the limit of adhesion available from the bicycle like 155/70 R19 low rolling resistance tires might take more than a 1 hour test drive to fully exploit. The i3 accelerates more like a sports car than a city car. 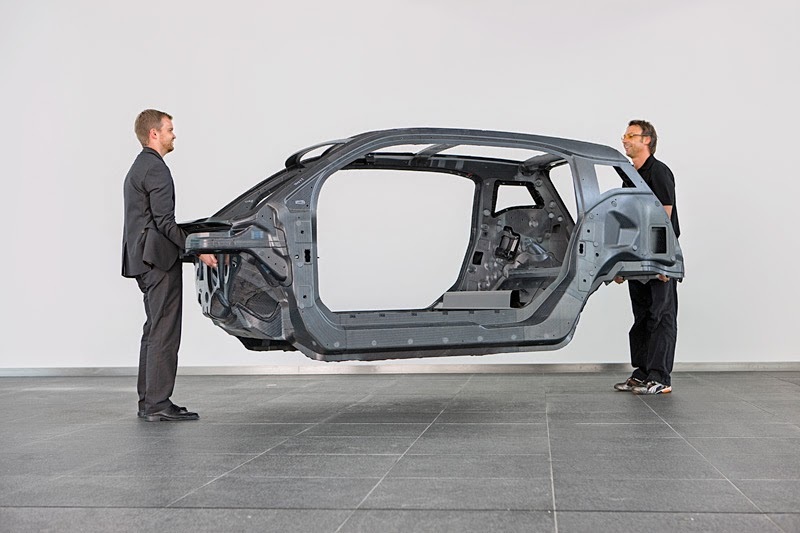 The extensive use of carbon fibre keeps the i3's curb weight down to 1,195 kg which is much lower then both the Nissan Leaf (1,500 kg) or the Chevy / Holden Volt (1,700 kg) we've test driven. 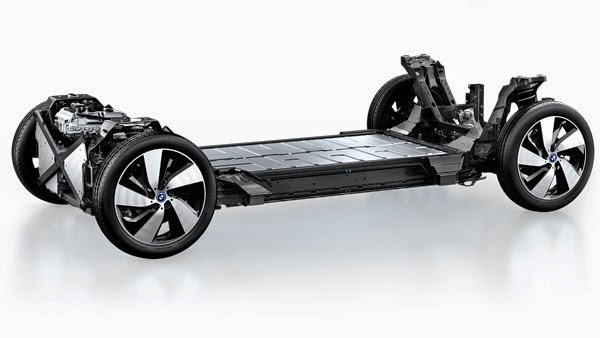 When combined with the i3's 125 kW BLDC electric motor, which is more powerful than either the Leaf (80 kW) or the Volt (110 kW), the result is a 0-100 km/h time of 7 seconds. Unlike a Tesla, the BMW i3 doesn't have an immediate kick off the line, but once above 25 km/h the EV torque really starts to come on strong. This may simply be the difference between the synchronous BLDC motor of the BMW versus the asynchrounous AC induction motors used by Tesla. AC induction motors are well known for enormous starting torque. As with most EVs I've test driven the mid-speed acceleration is massively impressive. Gap shooting in heavy traffic takes on a whole new dimension and the i3 keeps pulling hard even when accelerating up to Autobahn speeds. No EV test would be complete without mention of the regenerative brakes. Regen in the i3 is speed-sensitive, which means the car “coasts” with maximum efficiency at high speeds and generates a strong braking effect at low speeds. Regen braking is easily strong enough to bring the vehicle to a complete stop at regular traffic speeds below 80 km/h. Stop start driving in heavy traffic is a simple one pedal procedure, making the legacy friction brake system almost totally redundant in this vehicle. In the video above Autocar's in-house retired racing driver Steve Sutcliffe, who seems to have a speak impediment once he says the word "gubbins', takes the BMW i3 for a thrash around their test track providing a good demonstration of the i3's cornering dynamics.